MONDAY, April 10, 2017 (HealthDay News) -- Four of five doctors still recommend annual mammograms for women in their early 40s, despite guideline changes that have pushed back the age for yearly breast cancer screening, a new survey shows. Overall, 81 percent of physicians surveyed said they suggest annual mammograms for women aged 40 to 44, while more than two-thirds recommend regular mammograms for women aged 75 or older. "Gynecologists were, in general, more likely to recommend routine mammograms," added lead researcher Dr. Archana Radhakrishnan, an internist with Johns Hopkins University in Baltimore. These practices run counter to guidelines issued by the American Cancer Society, which recommends annual screening starting at 45 and screening every other year from age 55 onward, researchers said in background notes. 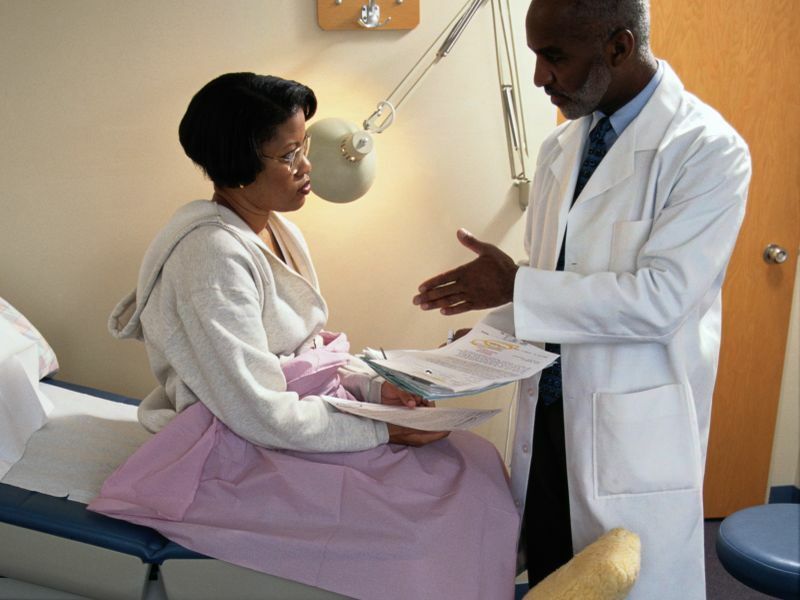 The doctors also are ignoring the advice of the U.S. Preventive Services Task Force (USPSTF), a volunteer body that helps set standards for preventive care. The USPSTF recommends that women aged 50 to 74 receive mammograms every other year. According to Dr. Deborah Grady, "It's kind of disappointing and dispiriting to find that such a large proportion of physicians still say they don't follow the guidelines." Grady is a professor of epidemiology with the University of California, San Francisco, School of Medicine. She wrote an editorial that accompanied the study, which was published online April 10 in JAMA Internal Medicine. Mammography recommendations were changed in recent years based on evidence that breast cancer occurs so much less often in women in their 40s that the risks of screening outweigh the benefits, Grady explained. Younger women also have a higher risk of receiving a false positive on a mammogram, which opens them up to more follow-up procedures. "The false positive may result in some anxiety for the patient, but it definitely will result in additional testing," Grady said. Women could be exposed to additional radiation during follow-up scans, or have to undergo a biopsy. There's also a greater risk of overdiagnosis in these women, Grady said -- essentially finding a cancer that poses no immediate health risk but now must be addressed with lumpectomy, radiation therapy and possible hormone therapy. "If you go looking in people with a very low risk of disease, most of the cancers you find will be an overdiagnosis, a cancer that was never going to cause them any problem," Grady said. There is disagreement over mammography guidelines, however. The American Congress of Obstetricians and Gynecologists and the American College of Radiology both still recommend annual mammograms for women aged 40 and older. Dr. Mitva Patel, a breast radiologist at the Ohio State University Comprehensive Cancer Center, said, "I looked at this study slightly encouraged that physicians are still following the recommendations from their colleagues who are experts in imaging." Patel believes the potential harms of earlier breast cancer screening are being overstated. For example, studies have shown that the anxiety from a false positive causes no lasting damage to a woman's life. At the same time, earlier annual mammography will save more lives, Patel added. "Women who are diagnosed in their 40s, in general their cancers are more aggressive," Patel said. "Because they are younger, they have more life-years to be lost. Obviously, your risk of breast cancer increases with age, but we don't want to miss those 40-year-olds even though it's less likely." Radhakrishnan noted that the dueling guidelines have likely caused more than a little confusion for doctors. "Guidelines around breast cancer have changed and, for some doctors, it will be important to remind them what the guidelines recommend," Radhakrishnan said. "At the same time, we need to understand what challenges physicians face to implementing them in their practice," she said. "These can be a range of factors -- including fear of malpractice and concerns about missing cancer -- that need to be better understood and addressed." Dr. Richard Wender, chief cancer control officer for the American Cancer Society, said he's not surprised that many women start annual breast cancer screening earlier than recommended. "There's an enormous amount of overlap in the various guidelines," Wender said. "All of the guidelines either recommend women be screened in their 40s or they recommend a shared decision in their 40s. There was a recent study that came out that showed that the majority of women want to get mammography in their 40s, and be screened every year." While some of the resistance to the guidelines may come from recalcitrant doctors, "more importantly, they are having discussions with patients, and we have evidence that the majority of women do want to be begin screening earlier, and they want to be screened every year," Wender added. "In the midst of all the various recommendations about mammography, doctors are relying on their own synthesis of what they've read and what they've heard and, more importantly, what they've heard from their patients over many years," Wender explained. Grady noted that doctors likely favor earlier breast cancer screening because they want to do the most for their patients, whether it's advised or not. "There's this innate human feeling that if we should do it in these people, why not do it in more people -- the whole thinking that more is better," Grady said. "But in medicine, in many ways that can be dangerous. More is not always better." Ultimately, the most direct way to resolve the controversy is to get insurers on board with the updated recommendations, Grady suggested. "If you ordered a mammogram and nobody would pay for it, then it wouldn't get done," she said. "Maybe that seems a little drastic, but nothing else works."